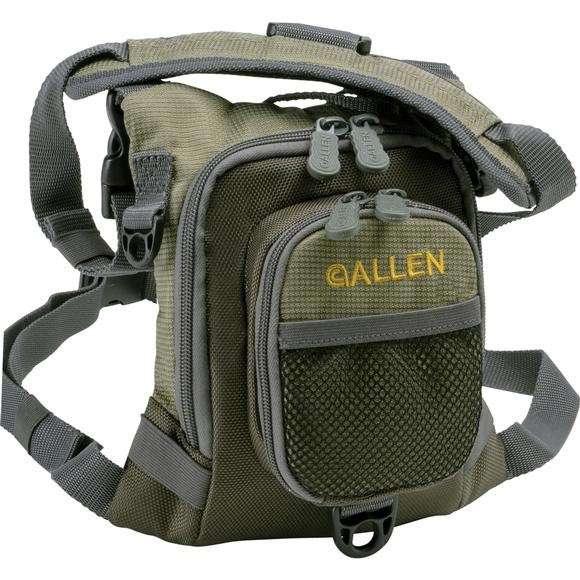 On those days when you want to be mobile while carrying a smaller assortment of flies, reach for The Allen Co Bear Creek Micro Chest Pack. This thoughtful design fits up to a medium size fly box and has multiple interior storage pockets. A zip down work station with tippet tender and fly patch allow you to bring what you need without the bulk. Measurements 6.5" x 2.5" x 7.75"